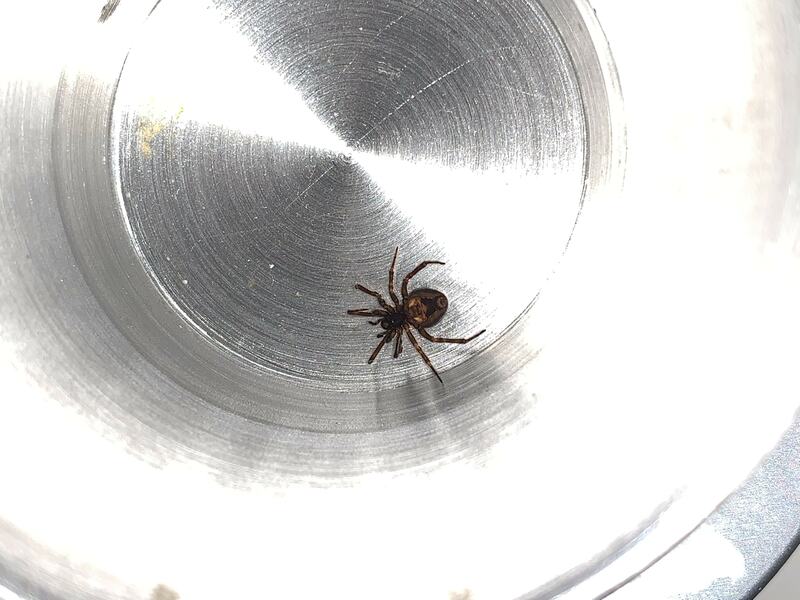 Found in the kitchen, scurrying from underneath the stove. Hi, yes I think you correctly identified it. Your ventral surface photo matches up with others I compared it to. The habitat and behavior matches also. I have Steatoda spiders under my refrigerator that occasionally make a brief scurry out into the light. They can live on the condensation and any insects that try to live under there, like grain moths that come from dog food. Steatoda spiders are “shy” and live in enclosed dark places. They avoid contact with people.